No matter how old your child is, there are going to be times when their health or behavior has you worried sick, which is why it is always good to know that you have a caring and high-standard pediatric team at the end of the phone. However, treating sick kids is not the only pediatric services which clinics offer. In fact, the team of physicians and nurses are there for you throughout your child’s journey to adulthood, regardless of whether there are any problems or not. Care for your baby begins from the moment of their birth all the way through to when they set off to college. And, a vital stage of this care is newborn exams, which will start at the hospital after the delivery and will continue regularly for the first year of your baby’s life. As a new parent, you will be hyper-sensitive to even the most minor of changes, and it is common to worry yourself silly. It is a good idea to be extra vigilant, but the newborn exams are in place to help monitor your baby’s first few days regarding feeding, sleep, breathing. Most of this is routine but will give you peace of mind. Your physician will also be able to advise you on the schedule for the recommended immunizations. Once your little one has successfully negotiated the first year of their life, they will start growing really quickly, and before you know it, they will be wandering around the house and trying to explore every detail of objects, which maybe they shouldn’t be! During this time, you might have some concerns about their rate of growth, diet, or behavior, and the well-child exams are an excellent place to address these concerns with your pediatrician. Your pediatrician will check the general health, vital signs, and development of your child; as well as offering advice on nutrition, hygiene, and answering any questions you may have. Unfortunately, kids have a habit of picking up germs, bacteria, and viruses, which can cause them a lot of discomfort in the short-term but will unlikely keep them down for long. In the early years, their immune systems are not fully developed, and that is why they tend to suffer more from colds, coughs, and ear infections than adults. Usually, you can treat your child for many symptoms at home, but if your child has a high fever or symptoms that don’t get better after home treatments, then a visit to the clinic is a good idea. This will allow the pediatrician to see if your child’s condition needs further investigation and some stronger medicine to give their immune system a helping hand. Kids are usually full of energy and love running around from sunrise to sunset, and it is great to watch the joy they gain from this. It is also entirely normal for the kids to ‘act out’ sometimes and throw tantrums when they don’t get what they want. This behavior is all part of growing up and isn’t a sign of anything more serious. However, if you notice that your child is continuously restless and has trouble focusing, then you should contact your doctor for a checkup, as these can be tell-tale symptoms of Attention Deficit Hyperactivity Disorder (ADHD), which can be a disruptive condition if it remains untreated. The good news is that the condition can be treated and with adjustments to diet, medicine, and routines, the child’s behavior should improve, and the condition will have less impact on their daily life as well as yours. Once your child has started school, they will be required to take a yearly school physical, and if they play sports, they may have to take a sports physical as well. These exams check your child’s overall health, physical development, and behavior. Also, sports physicals provide a great place to deal with any medical conditions which may have an adverse effect on your child’s ability to lead a sporty lifestyle. The pediatrician can recommend ways to keep safe or adjust the medicine for kids who have allergies or asthma. 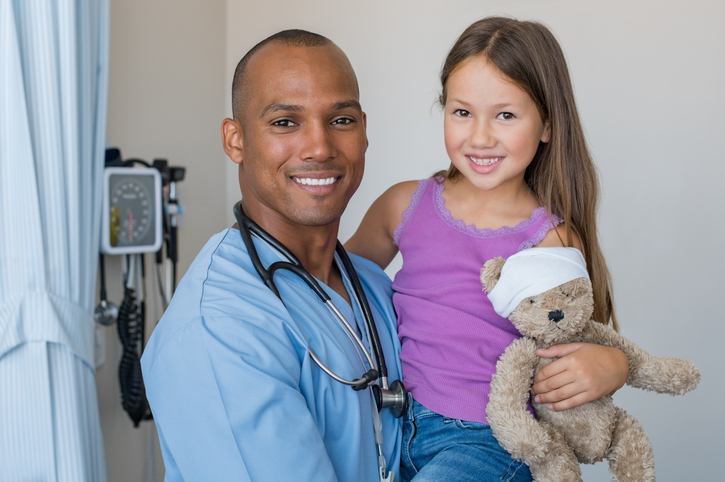 We prefer to schedule well-child exams and physicals in advance. Conveniently located off I-25 at the Sky Ridge Medical Center Conifer Building with free valet parking. Copyright Lone Tree Pediatrics & OnPoint Medical Group. All rights reserved.